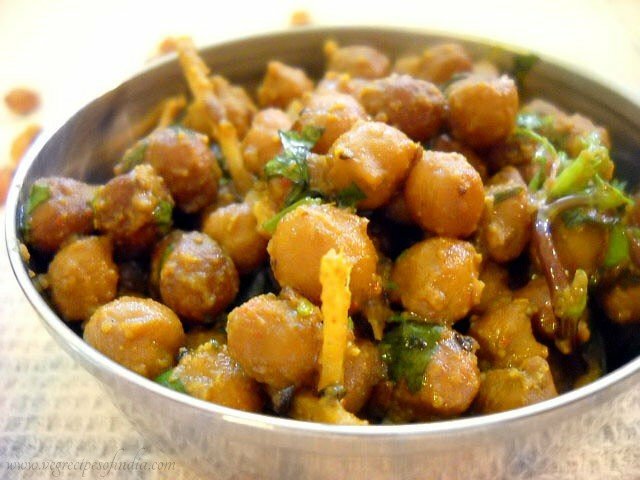 dry kala chana recipe with step by step photos – sukha kala chana is always made during the kanjak ceremony on the last day of the navratri in our home. this dish is always served with pooris on this day. the kanjaks are served the kala chana with pooris. and after they have been served the rest of the family has the pooris with kala chana. along with kala chana, sooji ka halwa is also made on this day. 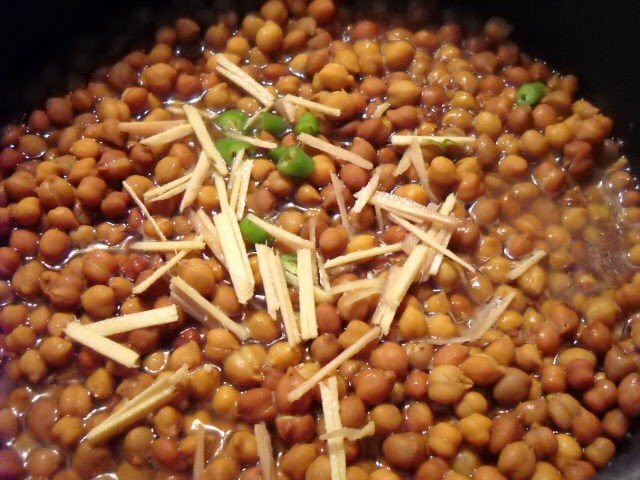 while i made this kala chana recipe on a regular day for dinner and we had it with chapatis. 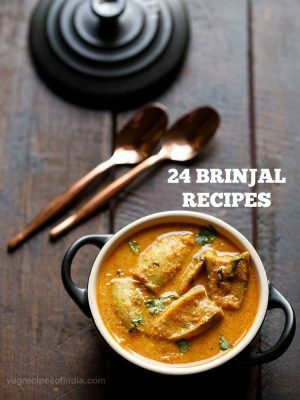 this is a punjabi recipe and i have modified the original family recipe. the result was a chatpata kala chana. have the dry kala chana with the zing of lime and it taste great. 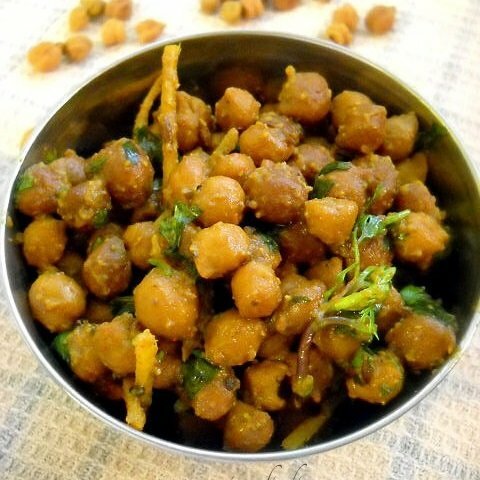 good during the monsoons to have a bowl of kala chana with or without chapati or bread. 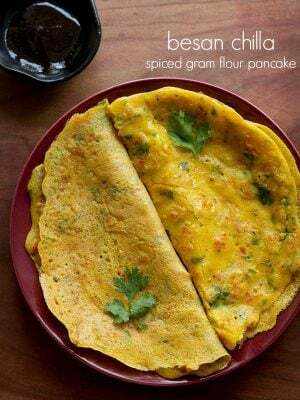 this recipe can be had for breakfast, brunch, lunch or even dinner. 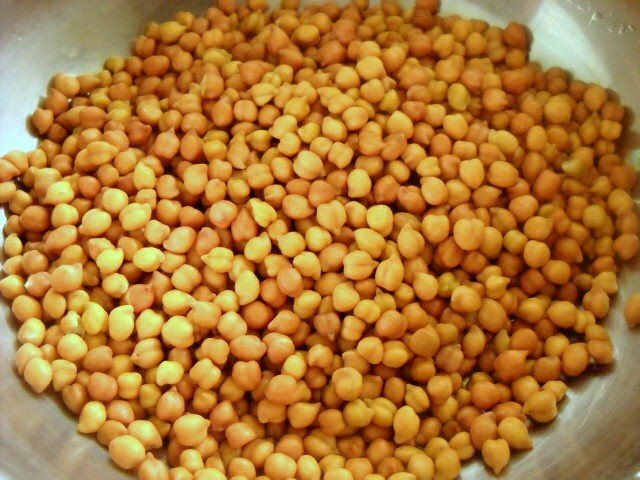 you could have this dry kala chana with puri, roti, naan, bhatura or even plain bread. the leftover chana can be easily added as a stuffing inside bread, topped with slices of onion, tomato, cheese and grilled/toasted and you have an amazing chana cheese sandwich ready. this is how i usually use the leftover kala chana for breakfast. this is a step by step recipe to make dry curry with black chickpeas. it was dark and raining this day. thus the kitchen was dark and i have yellow lights in the kitchen. hence a few step by step photographs have not come out very well. pick the kala chana to remove any stones. wash them in running water for 3-4 time. then soak the kala chana overnight. they become plump and all the wrinkles on them disappear after they are completely soaked. the next day add water to the chana. 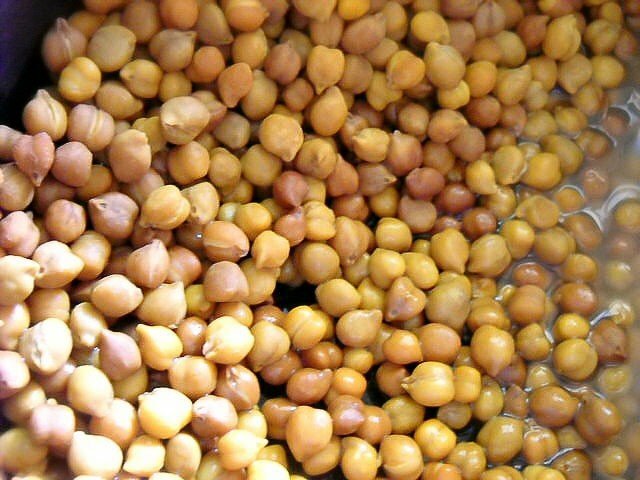 and boil the chana in a pressure cooker with 1 tsp salt for 20-25 minutes till the chana is cooked completely. strain the chana. in a pan heat 3 tbsp oil. splutter the cumin seeds. add the ginger julienne and chopped green chili. i added some 1/2 cup of the chana stock to the chanas so that they do not stick to the pan. you may or may reserve some stock if you want. in case you don’t add any water, then saute the chana on a low flame so as to avoid burning. add all the dry masalas and black salt to the chana. 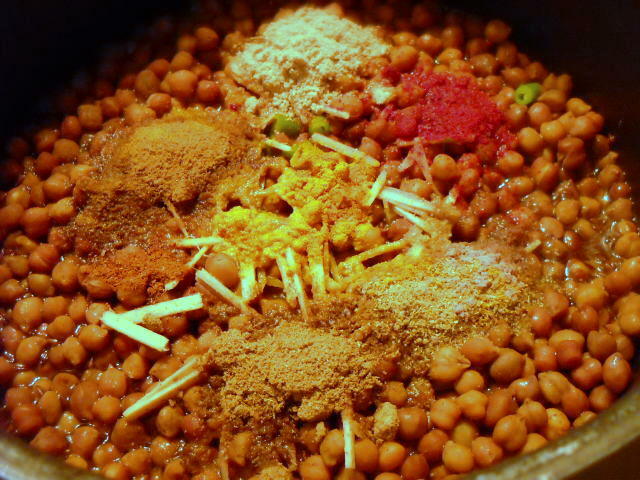 mix it well and let the kala chana cook in the masala for a couple of minutes. remember to keep on stirring so that the dry chana masala do not stick to the bottom of the pan. 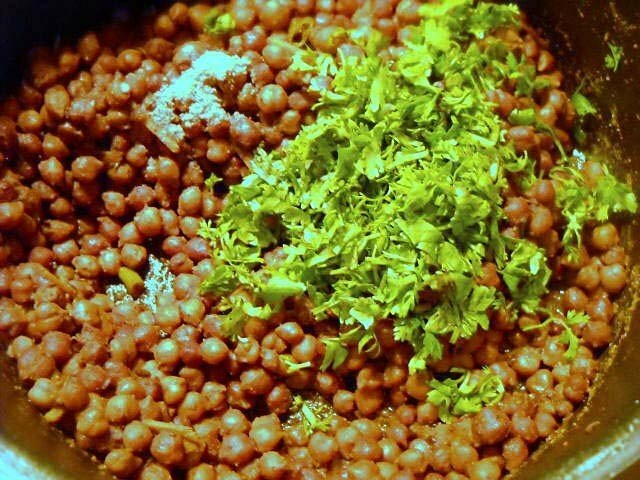 garnish kala chana with chopped coriander leaves. and serve dry kala chana hot with wedges of lemon. 1. when making kala chana for navratri festival, use rock salt. 2. you could alter the spice powders as per your taste. 3. to make kala chana more hot and spicy add more of green chillies and red chili powder. 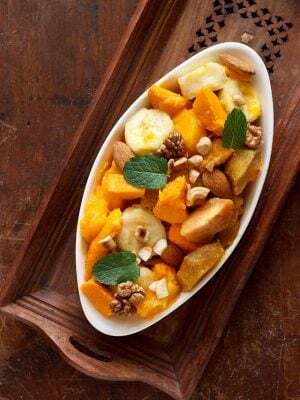 4. to increase the sourness increase the amount of dry mango powder and chaat masala. 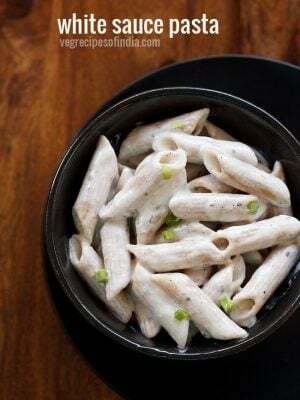 6. you may use white chickpeas or even black eyed beans to make this recipe. pick the kala chana to remove any stones. wash them in running water for 3-4 times and then soak the kala chana overnight. they become plump and all the wrinkles on them disappear after they are completely soaked. the next day add water to the kala chana. 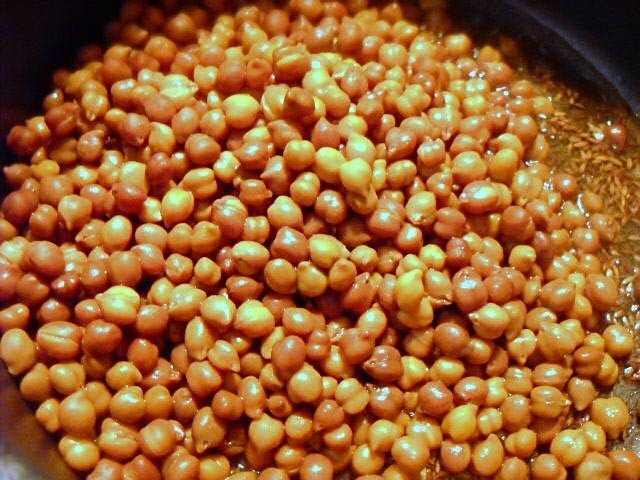 and boil the kala chana in a pressure cooker with 1 tsp salt for 20-25 minutes till the chana is cooked completely. strain the chana. now add black chana and mix well. add the ginger julienne and chopped green chili. i added some 1/2 cup of the chana stock to the chanas so that they do not stick to the pan. you may or may reserve some stock if you want. in case you don’t add any water, then saute the chana on a low flame so as to avoid burning. add all the dry masalas and black salt to the black chana. mix it well and let the black chana cook in the masala for a couple of minutes. remember to keep on stirring so that the masala do not stick to the bottom of the pan. 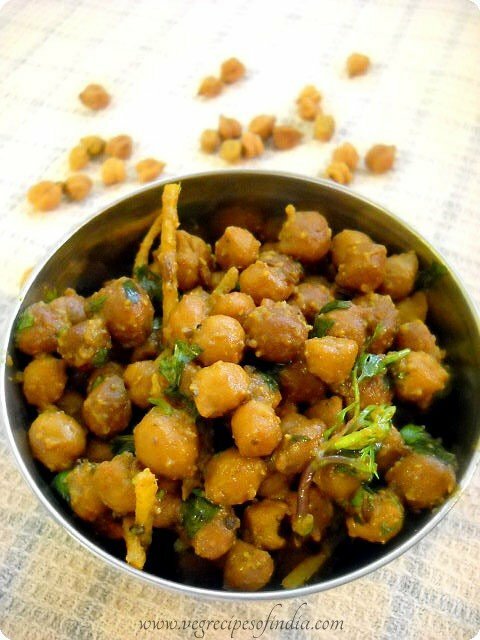 garnish dry kala chana with chopped coriander leaves. serve dry black chana hot with wedges of lemon. enjoy :-). This is sooo good! I didnt have mango powder so I double the Chat Masale (had the Shan). Very good and super quick! Thanks Kim for sharing your positive feedback. Great recipe!!! Came out very tasty..like all your recipes 🙂 thanks so much. 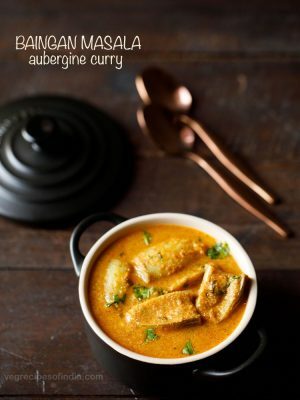 Very simple , perfect & tasteful recipie. You deserve appreciation . thankyou so much madhu 🙂 glad to know this. thanks karie for this positive feedback and appreciation. Your recipes are so simple and tasty! 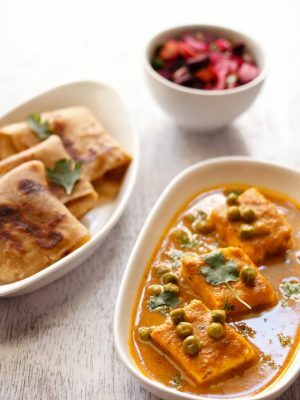 This looks great- I love kala channa. Ok this is a real dumb question- but since I’m a beginner what do you mean by boiling in a cooker? Is it the usual cooking in pressure cooker with the lid on? On another note, your aloo jeera was awesome :). yes it means cooking in the pressure cooker with the lid on. welcome nivedita and thanks for this positive feedback on chana recipe. 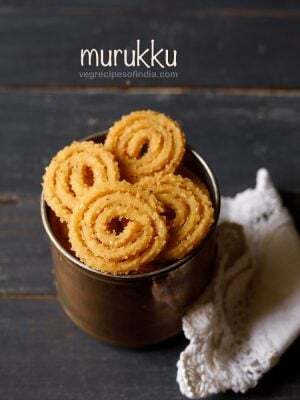 i think, it will go very well with rice and curd combination too. keep visiting. thanks tressy for this positive feedback. as my hubby is fond of chana/chole as well as bhindi so i make many different recipes using chana and bhindi. keep visiting the blog. Nice way of cooking Dassana. 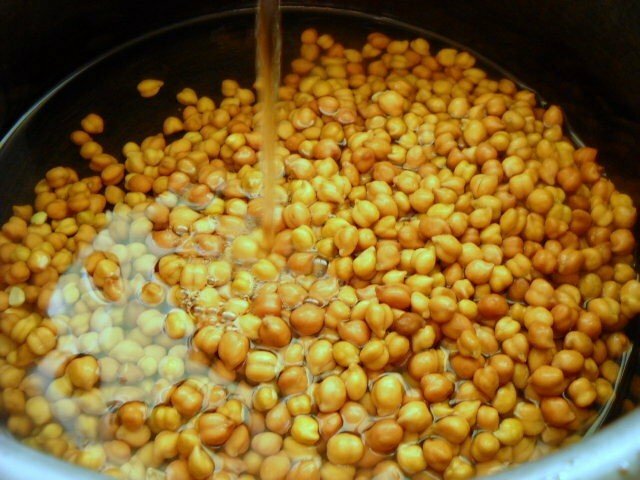 While your’s is a very simple way of cooking, i prefer soaking the chana in boiling water which in turn helps you cook it faster as chana takes lesser time to boil and you also don’t have to keep it soaked for long. This is a preferable way to make the chana when you had not preplanned for it and still wants to make it in about 3 to 4 hours. thanks. i do this method when i am short of time or when i cook a chana based dish in an impromptu. Hi i guess ur name is sana dasa. If u dnt mind i wl cl u sana.. I try many reciepes by my own also..
Keep it up nice job done. my name is dassana. thanks for trying the chole recipe. do try the other recipes too. Thank you so much!! We both were craving for this and I cooked it. Came out pretty well, not as good as your’s though!! welcome jaipal. nice to know that u and neha both liked the recipe !!! thanks apeksha. 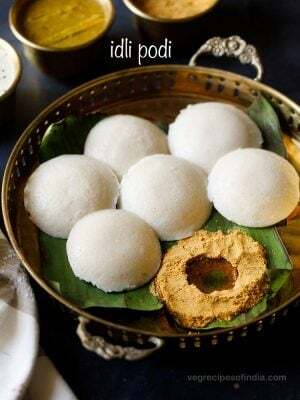 some of the food that we prepare on festivals or pooja ceremonies are delicious without using onion and garlic and the masalas. this recipe is simplicity at its best. Bookmarked! Loved your collection of recipes. Very clear, easy to follow. Soaking kala channa 4 four hours,is not enough ? you can soak kala chana for 4 hours but then you will spend more time cooking it. 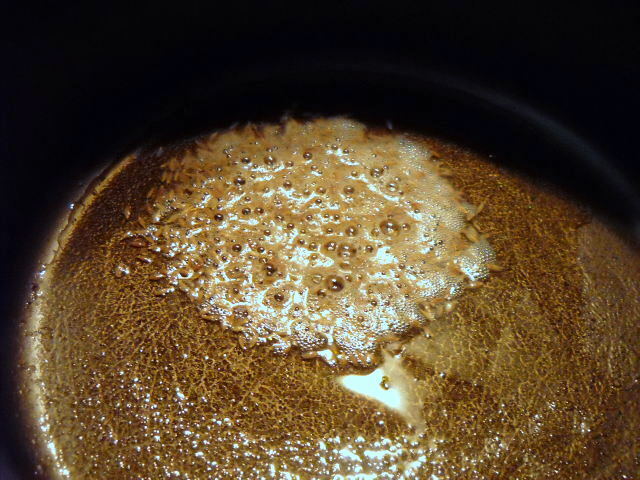 its better to soak for 8-9 hours and thus spend less time in cooking it. do try this black chole recipe…..